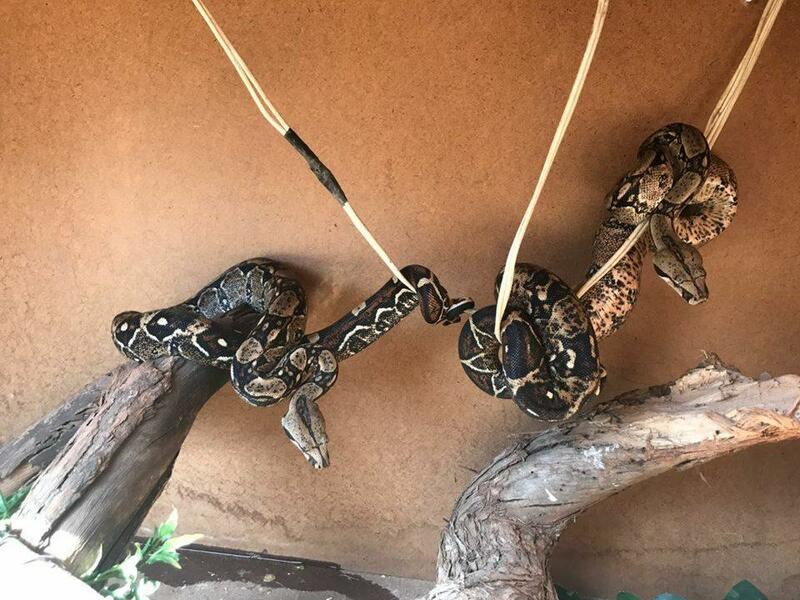 Male and female red tail boas for sale! includes large cage and a smaller cage for feeding. They are slightly aggressive and need someone who can give them love and care to tame them. The female can be handled after she has eaten. the male strikes and hisses but can be handled with a hook rod.